Posted by Q in Gadgets, Links, Random. I came across Google Reader by happenstance when I curiously clicked an “Add to Google” button while surfing the worldwide web (that’s a new term I came up with for the “internet” – it will catch on). Reader is probably old news, but it is fun to me so I thought I would share. It is a web-based RSS reader – pretty simple and elegant way to read your RSS feeds. I like it because I have the same feed list and the same interface anywhere I go. I no longer have to sync my reading list between home and work. So far It was worked well with Safari and Camino (Mac) and with Firefox (PC). I haven’t tried IE, but I am sure it will work just the same there. If you are a fan of Gmail and read RSS feeds, then I and pretty sure you would enjoy Google Reader. Posted by Q in Family, Links, Random. This past weekend I went home to hang out with my moms. (Always a pleasure. It feels good to be home, Mom 🙂 We got some work in cleaning out the garage on Saturday. We both had a lot of crap in there. After dropping two carloads worth of stuff on Goodwill’s door step, we showered and headed downtown to the show: Jesus Christ Superstar at the Byham Theater. I remember listening to the soundtrack to JCS as a kid so watching the show brought back a ton of memories. It was good. We enjoyed the cast, although (this sounds funny to say) Judas and Mary were better than Jesus. The company flipped a couple of the scenes (spoiler warning for those in Pittsburgh…) They had Caiaphas and his homies as Italian mobsters (conceivably to avoid any possibly antisemitic appearance) and they made the scene with Harod like a meeting in Trump’s boardroom on the Apprentice, which I thought was a fun scene. One of the coolest things they did was recreating famous paintings by freeze-action posing during the play. All in all, Mom and I had a great time. On a whim, we decided to pop into the movies to see what’s playing on the way home. We showed up with perfect timing to see Madea’s Family Reunion, and we thoroughly enjoyed it. It was funny, deep, and an all around feel-good movie. This was the first movie I have seen by Tyler Perry. My mom says she enjoyed it even better that Diary of a Mad Black Woman. I recommend it – especially if you grew up with a large black family. Posted by Q in Friends, Links, Pictures. My Disney Buddy, Michelle, has moved on to bigger and hopefully better (in the end) things: She took a temporary assignment down in the Washington, DC, Metro Area. I miss having her to bug a few cubes away (now I bug her via IM :), but I am sure she will be running things down there in a couple months. We had a fun dinner at Trappe Tavern in her honor. Posted by Q in Links, Random. I guess you can say I am hoping for an early spring no matter what Punxsutawney Phil says. Leave me a comment and let me know what you think of the layout. Posted by Q in Pictures, Random. For the last couple months I have been in a basketball league out here in King of Prussia, PA (just west of Philly). A bunch of guys from work, some of their friends from the area, and I took the league by storm, finishing undefeated in a convincing fashion (granted the competition wasn’t really that high). 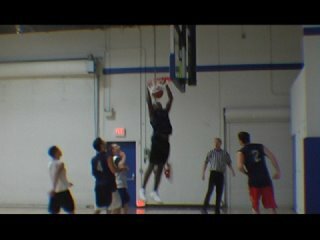 Above is a picture of me following up a beautiful off-the-backboard alleyoop from Brian (red shorts) . Now we’ve moved on to a different, more competitive league in Upper Merion. I missed the first game, but I am looking forward to a good one this coming Sunday. Posted by Q in Links, Pictures, Random, Travel. 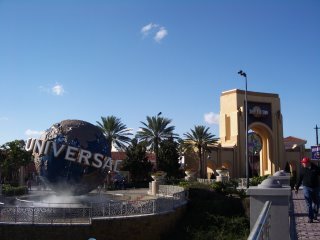 Again travelling for work, I made my way down to Orlando for a couple weeks. Because I had to stay over the weekend, I got to miss the big storm. But because I had to stay over the weekend I had to entertain myself too. I took a trip over to Universal Studios’ City Walk – yeah, if you are thinking about going, make sure to wait until night fall. It wasn’t much fun at 3pm on a Sunday. Apart from Sunday afternoon, I had a good time though. Got to know some folks from work a little better, met up with my cousin, and caught up with an old buddy (What’s up, Arlon-Glenn!). Posted by Q in Friends, Links, Pictures, Travel. This post is long over due 🙂 Back in January I made my way down to ATL for work. 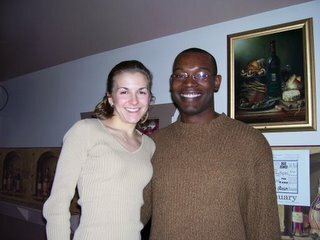 While I was down there I got a chance to hang out with my friend Marie. 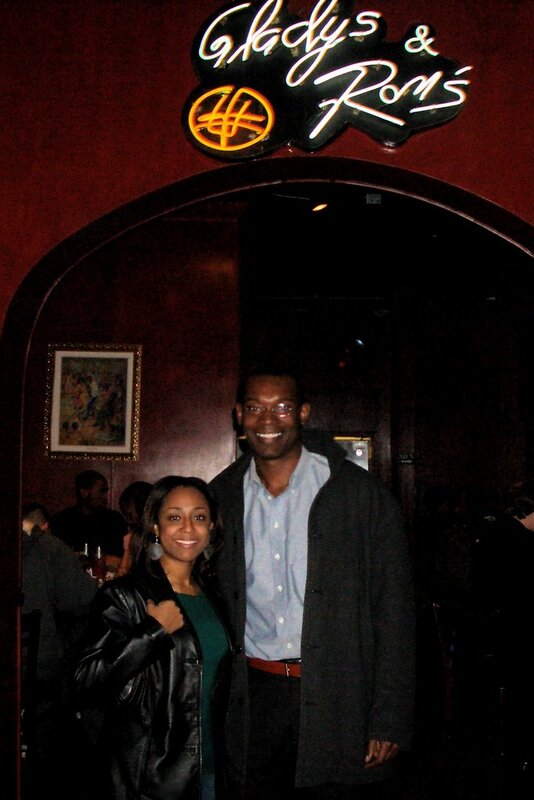 We met up at Gladys Knight & Ron Winan’s Chicken & Waffles.